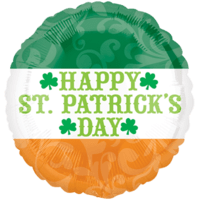 A green filled celebration of fun, drink and all round Irish-ness. At Balloon in a Box, we have a perfect selection of green balloons. 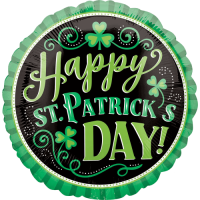 From Shamrocks to mischievous leprechauns we have all of the Emerald Isles bases covered! 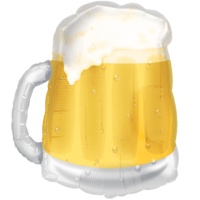 You can send one of these balloons to anyone who loves St Patrick's day and wants an extra bit of fun and banter to add. You can even put a cheeky message on too! 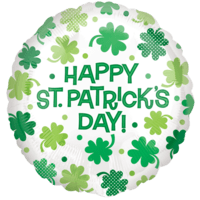 This Superb Happy St Patrick's Clover Balloon Gift will intrigue and thrill a lucky family member or friend! Expertly put together and blown up by our in house qualified balloon decorators! 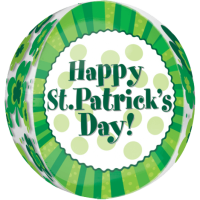 This Superb Happy St Patrick's Square Balloon Gift will intrigue and thrill a lucky family member or friend! Expertly put together and blown up by our in house qualified balloon decorators! 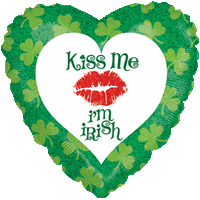 Before or after a swig of whiskey, this 18" heart shaped foil balloon with a cheeky Irish request could be a winner! 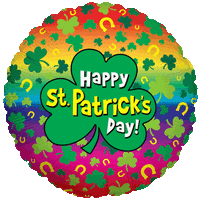 We can't send you a pot of gold, but we can send this clover sprinkled rainbow coloured 18" foil balloon on St Patrick's Day. Have a happy one! 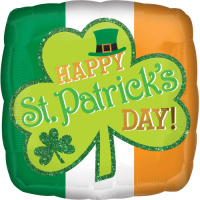 This Superb St Patrick's Day Irish Flag Balloon Gift will intrigue and thrill a lucky family member or friend! Expertly put together and blown up by our in house qualified balloon decorators! 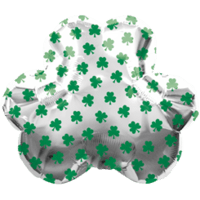 Send a bit of Irish luck with this shamrock strewn 18" foil balloon. 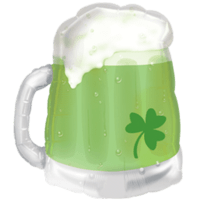 A great addition to your St Patrick Day celebrations. A sunny balloon in a box gift for St Patrick's Day. An 18" foil balloon with a lucky three leaf clover. May the sun be upon your face! This Superb Happy St Patrick's Balloon Gift will intrigue and thrill a lucky family member or friend! Expertly put together and blown up by our in house qualified balloon decorators! 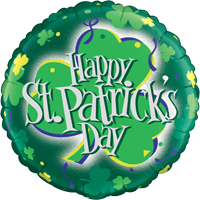 You'll love this beautiful foil balloon 25"x 22" in the shape of the lush green three leaf clover. This delicate little plant also decorates our giant balloon, making it ideal for St Patrick's Day.